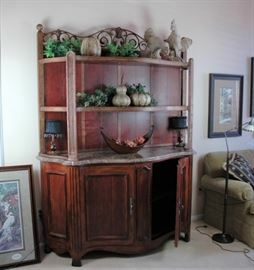 AddressThe address for this sale in Highlands Ranch, CO 80129 will be available after 9:00am on Thursday, April 25th, 2019. •	Cash & Credit/Debit Cards Accepted -Sorry No Checks. •	We Do Not Offer Sign In Sheets, First In Line - Will Be The First In The Door. •	Please Feel Free to Leave Bids! 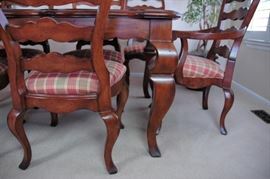 All Bids Will Be Considered At End Of Sale Day. Thank You For Your Business! Have Fun And Enjoy The Sale! 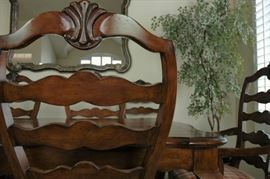 Gorgeous Dining room set by HICKORY WHITE. 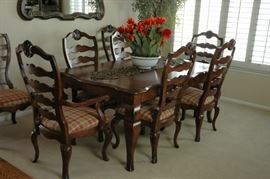 "Provence" distressed solid cherry table with 8 ladder back chairs. Comes with center Leaf and custom pad. 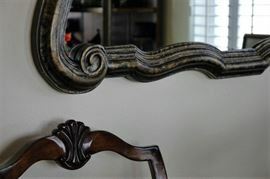 Ethan Allen wall mirror 43" x 55"
Nicholas Stone Solid wood (Maple)? 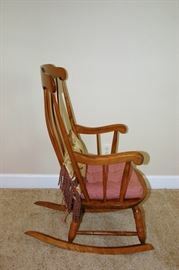 Rocking chair. 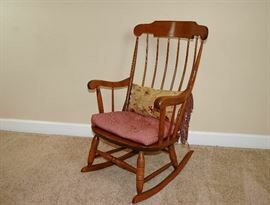 40" Tall x 24" Wide ~ 14" seat height. 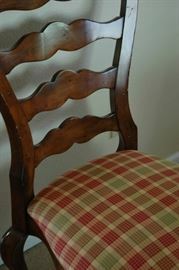 Ethan Allen Wing Chair Green & white plaid/check (not teal). Matching ottoman. 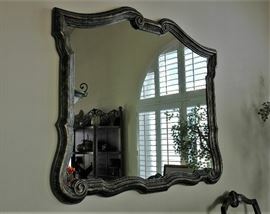 46" High x 31" Wide x 30" deep. 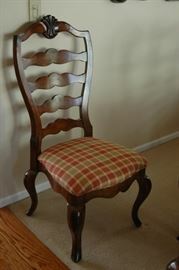 Ethan Allen Wing Chair Green & white plaid/check. Matching ottoman. 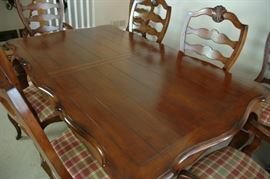 Solid wood high end quality round table. Bassett Couch. Dark red with beige floral print. 87" long x 37" deep. Great condition! Bassett loveseat. Dark red with beige floral print. 64" long x 37" deep. Great condition! 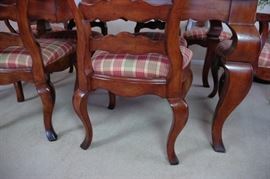 Ethan Allen round end table. 18" diameter. One door opens to storage inside. Lamp with lovely unique shade! Vallennciere Collection rug, tan & black trellis design. 13'9" x 9 '9". Glass top coffee table with wrought iron base. 50" x 28" x 19" high. Quality Top Grain Leather sectional sofa by Leathercraft, Inc. Tan color. 10 ft long x 8 ft wide x 38" deep.